How to guarantee a good export of graphics from Excel to PowerPoint? 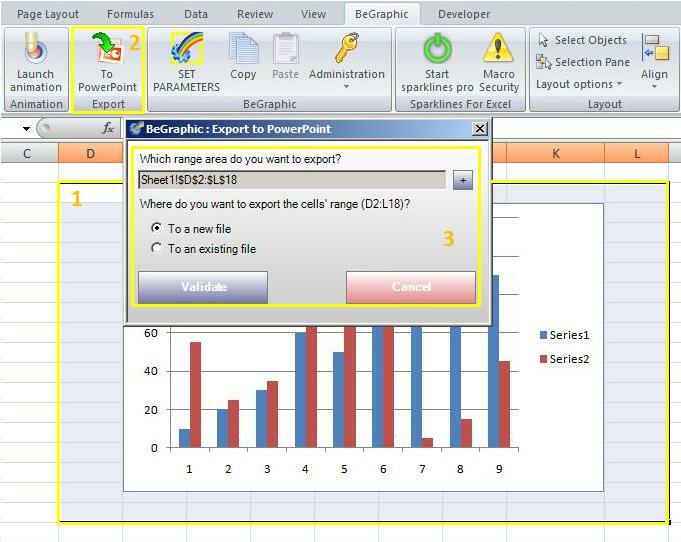 BeGraphic includes a first-level module that helps you to export shapes/charts/pictures to PowerPoint. Select the range area (several Excel cells) you want to export. Click on "To PowerPoint" button in the BeGraphic ribbon. Define in which PowerPoint presentation you want the selection. BeGraphic Pro (available in January 2011) will even go further, launching the update of a complete PowerPoint including as many data graphics and advanced charts as wanted.